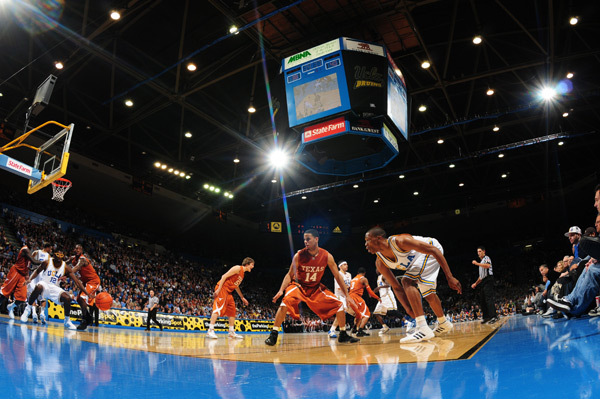 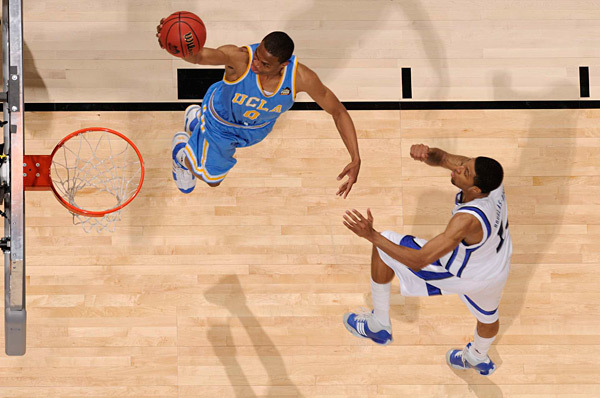 Before he was a triple-double machine and MVP candidate, Russell Westbrook was a little-known UCLA Bruin. 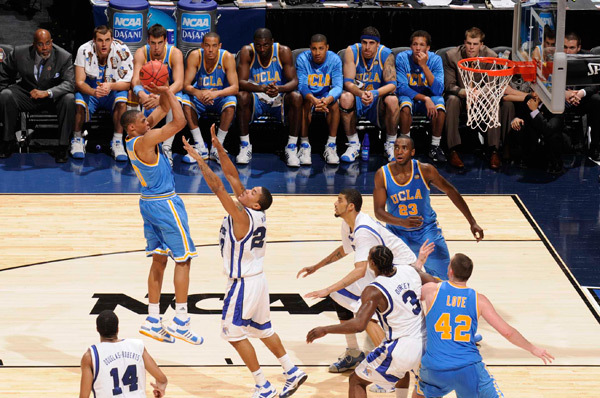 Before Russell Westbrook was a triple-double machine and MVP candidate, he was turning heads at UCLA alongside Kevin Love. 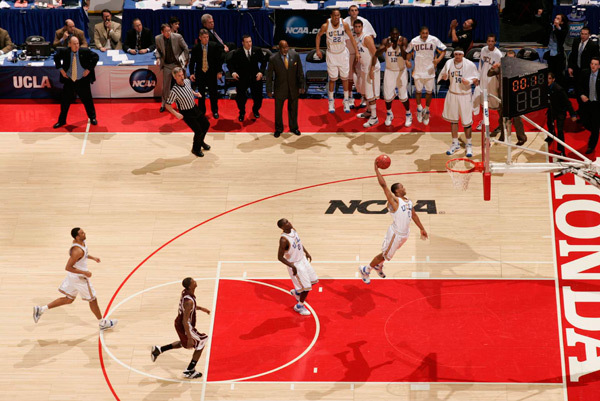 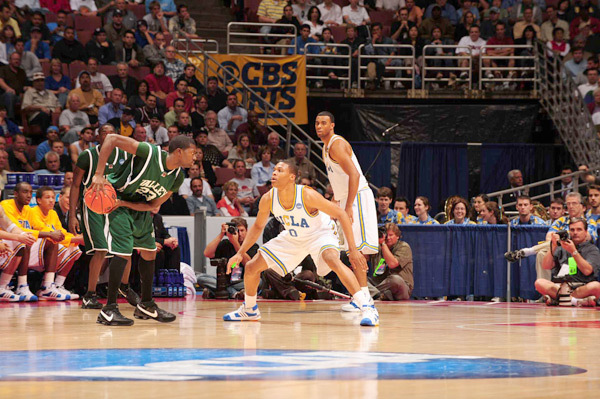 After averaging just nine minutes a game his freshman year (2006-07) as a backup to Darren Collison, Westbrook broke out his sophomore year, averaging 12.7 points, 3.9 rebounds, 4.7 assists and 1.6 steals in leading the Bruins back to the Final Four. 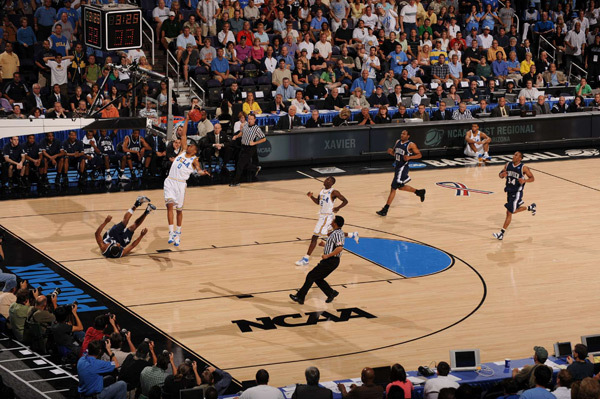 As Maniac Russ, his alter-ego discussed in Lee Jenkins recent profile of the Thunder point guard, prepares for the playoffs, we look back at his two-year career at UCLA.